Could Christmas be any closer? I can practically smell the Christmas dinner; the pigs in blankets, the sprouts, the stuffing, OK I need to stop, I’m making myself hungry. Let’s skip over the food for a second and get back on topic: blogging! More specifically, how to blog through Christmas. Technically speaking, I’m talking to you from the past. ‘Oooohh, ahhh’. I wrote this post several days ago when I had a quiet half hour to myself one night whilst watching Orange is the New Black, I’m onto season 2 now, very addicting! Anyways, it’s like killing two birds with one stone, I can put a post together with my feet up on the couch and a show on the tv. This works for me, maybe it’ll work for you too. Scheduling posts is the best way to keep posts going out regularly without you having to be tied to your desktop to hit the publish button. Got a spare Sunday afternoon? I’ve managed to write close to 10 posts in one afternoon. Your can blog can continue to be updated as you wrap gifts, drink mulled wine and enjoy the holidays. The best thing about this time of year is there’s so much to blog about. From gift guides to decorations and festive events. Do you have any Christmas traditions you can share? Tales of Christmas past? 12 days of Christmas jumpers? There’s so much going on at this time of year, if you can’t get the words down, do a photo blog post instead. A tour of your Christmas tree, or how about snaps of the local Christmas market? Make a note of any and all Christmas ideas you can and get them down, then give them a slot on your blog schedule. When things get crazy, knowing in advance what you need to blog makes it so much easier. If you want to keep your blog going over the holidays, take some time out from the festive activities and knuckle down for a while. Christmas can be crazy stressful so when you go shopping, take along your tablet or pen and paper and stop for a coffee. All the family around for an awkward present swapping extravaganza? Excuse yourself for an hour and go finish up a post or two. If you find blogging relaxing and as therapeutic as I do, then the brief escape behind the screen will do you some good. If, like me, you’ll be working the day job over most of the holiday period, make use of those small pockets of time the work day gives you, if you don’t already! Use your coffee breaks, lunch breaks, those 15 minutes early you get into work to work on your festive themed posts. A few sentences jotted down here and there and you’ll have a post done by the end of the working day and your evening will be yours, free to join in any post-work festivities! If you’ve just got too much on, or you want to really chill out, wind down and cover yourself in tinsel, simply take time off from the blog. You can pick up right where you left off in the New Year. Shut down the laptop, turn off social media and go off the grid for a few days. Enjoy this time with friends and family and don’t worry yourself about page views and followers. The break will not only allow you to enjoy the holidays 110%, but taking a step back is a great way to see what steps forward you need to take when you come back to blogging. I always find a break gives me lots of fresh new ideas and material to work on! If, like most of us, blogging isn't your full time occupation, then balancing it with life at the best of times is difficult. Throw in the madness of Christmas and well, it’s no surprise that the blogging world can go a little quieter this time of year! Try out a few of the above tips, see if they can carry you and your blog through what’s left of the festive season, if not, then take some time off! 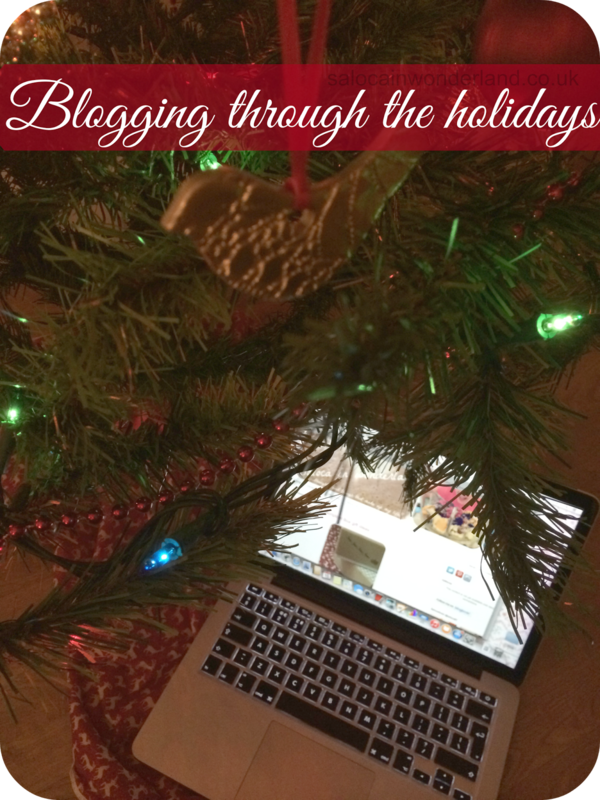 Enjoy the holidays without adding in the stress of trying to keep up with your blog! Blogging is suppose to be fun, so keep it that way - and Merry Christmas! Have you got any blogging tips for getting through the holidays? Let me know in the comments below! Good luck! I'm sure if you get enough scheduled in advance you won't have to boot up a computer at all over the holidays! I always tell myself I need to start scheduling and planning posts out, but I've recently realised I do that, but just in my head aha! I'm not one too write things down, I just always remember everything on my head, I have like an internal planner or something aha! I always write blog posts while watching tv shows, it literally is killing two birds in one stone - such a time saver for our busy lives! I wish I had an internal planner! Without scheduling and my lists I'd be lost, as would the blog lol! Bloody hell!! How do you do it??? 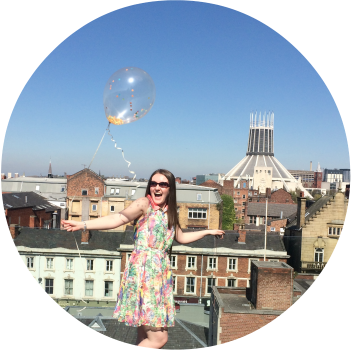 I need some of your blogging mojo! If I get just over a week ahead I think I've done a good job lol! Cannot wait for Christmas Downton and Who! And Frozen is on on Christmas Day - it's a must! Lovely tips. Small pockets of time are essential, sometimes it's the only way I can get things done. I love using those small pockets of time, it makes me feel so much more productive! I ended up taking a break myself - it worked wonders and I got to spend some time away from the laptop and just enjoying friends, family and excessive amounts of Netflix!